Conservatives Of The Upstate: Conservatives Of The Upstate To Show Acclaimed Documentary " Crying Wolf"
Conservatives Of The Upstate To Show Acclaimed Documentary " Crying Wolf"
Conservatives of the Upstate will be showing the acclaimed documentary, "Crying Wolf" a Jeffrey D. King film on Thursday evening 6:30PM August 9, 2012. The documentary is an informative education into the environmental agenda concerning money, power, and government control over the rights, property, and livelihoods of thousands of Americans. 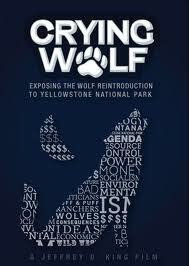 Through watching this film we will find out who is really crying wolf! For more information contact Johnnelle Raines (cell) 704-860-0648.